A teenager who attacked a car with a “zombie knife” has been jailed for three and a half years after the court of appeal decided his suspended sentence was unduly lenient. Joshua Gardner, 18, was caught on camera hitting a car with a large knife in rush-hour traffic in Croydon, south London, in May. Gardner appeared at the court of appeal in London on Wednesday after Robert Buckland QC, the solicitor general, referred his sentence as being “unduly lenient”. Buckland said Gardner attacked the vehicle “in a seriously violent and sustained way” using “a very large zombie knife”. Sir Brian Leveson, Mr Justice Nicol and Sir Brian Keith were shown dashcam footage of the incident, which was widely shared online at the time of the attack. 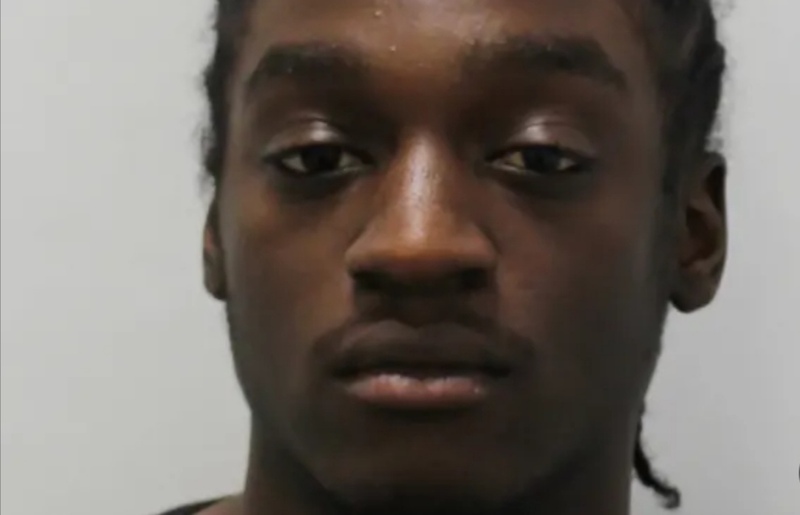 Buckland said Gardner previously had “some animosity” towards the victim, Levar Gilbert, which he said “resulted in a disgraceful incident which caused real fear to people in the vicinity, not least the victim himself”. He said Gardner “produced the knife and attacked the outside of the vehicle”, before he eventually managed to smash the passenger window and “lunged into [the car] with the knife”. He submitted that “what was intended, particularly by the thrusts through the broken car window, was to strike the head or upper body of the victim”. Buckland added that the offence was aggravated by the fact it was “committed during the supervision period” for a previous conviction for attempted robbery “involving the use of a knife to threaten a younger person”. Mark Stevens, for Gardner, said his client’s defence at trial, which was not believed, was that Gardner was “trying to scare Mr Gilbert”, and denied Gardner had been attempting to hit Gilbert in the head. Stevens noted Gilbert “did not cooperate with the police”, but Leveson said “one of the great problems our society is facing is knife crime, in a subculture where people do not assist the police and young men are losing their lives”. The judge added that the weapon, the blade of which Stevens said was about 10 inches, was “horrific”. Giving the court’s ruling, Leveson said: “One of the challenges facing society is the commonplace carrying and use of knives. That can never be an excuse for carrying a weapon of the type which this offender carried on that day. “Purported self-defence all too frequently becomes an offence and results in fatal injuries, particularly to teenage boys, almost on a daily basis. Public concern is obvious and inevitable. “It thus falls to the court to demonstrate that such behaviour must result in substantial and effective custodial sentences.